Want To Speak Irish Or Spanish? Discover the secrets and magic of the brewing process at The White Hag Brewery. 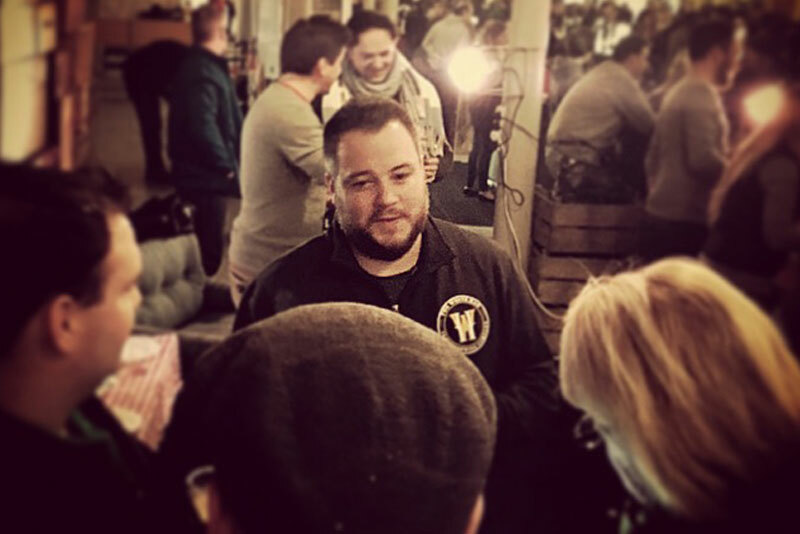 Discover how they have updated ancient and local recipes to make world class craft beers. Can you taste the natural ingredients behind these flavoursome brews? Hand harvested heather from the renowned Benbulben Mountain, peat from the depths of local hallowed bogs, magical water from Lough Talt and powerful Irish oatmeal all contribute to the distinction and strength of character that The White Hag stands for. The White Hag Brewery Tour offers a step by step tour of the brewing process and of course tastings of these quality craft beers. The tour lasts one to one and a half hours. It can be booked by appointment or join one of our tour days. Gaby and Hans can’t wait to share their love for food and Sligo with you! Having been at the cutting edge of Sligo’s food revolution as producers of organic vegetables, sourdough breads and artisan farmhouse cheeses for more than 20 years at their small-holding near Cliffony, they now only work with independent small family businesses selected for the quality of their food and drinks. They’ll make sure you don’t miss any of the delicious treats Sligo has to offer. On a gentle 3 to 3.5 hour stroll traversing Sligo town you will visit seven to eight different food businesses for tastings, featuring an oyster experience, seaweed, fermented foods and drinks, sourdough and pastries, a local beef tapas, gelato, Sligo’s first coffee roasters and local craft beer. 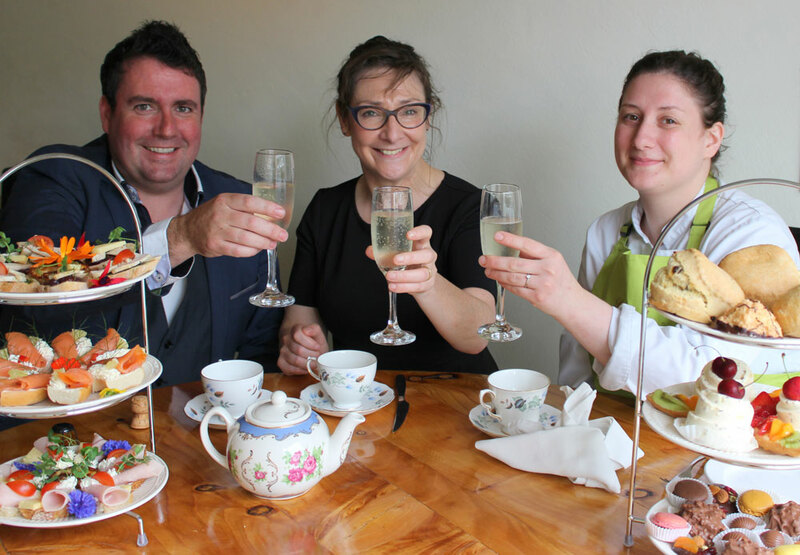 Meet the proud personalities behind Sligo food, hear fascinating local stories and gain some insider knowledge on where the food comes from. You will also learn a little about the vibrant culture of Sligo’s lively and charming city. Seaweed is being touted as the new superfood – now learn to harvest your own! All age groups will enjoy this culinary adventure to Coney Island starting and finishing at Trá Bán Restaurant in Strandhill. 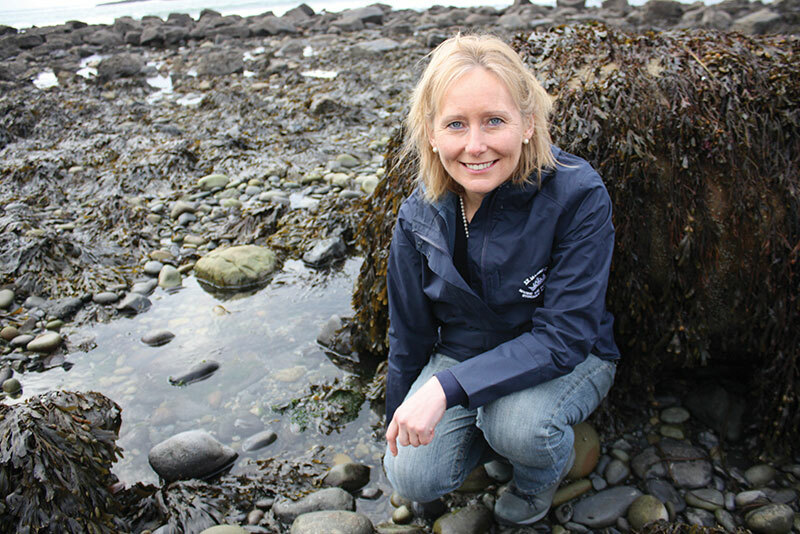 First Dr. Prannie Rhatigan leads a walk and talk along the seashore introducing the fascinating world of edible seaweed and how to identify and harvest them. With appetites well whetted, join Anthony Gray of award winning Trá Bán Restaurant for a delicious lunch of local Lissadell mussels cooked on an open fire. This is always a sell out event and is championed by John and Sally McKenna amongst others. Wear strong shoes and bring rain gear, just in case. Dates are subject to tides. A wonderful opportunity to stay in this glorious Georgian mansion and enjoy a fascinating guided tour of the deer farm. 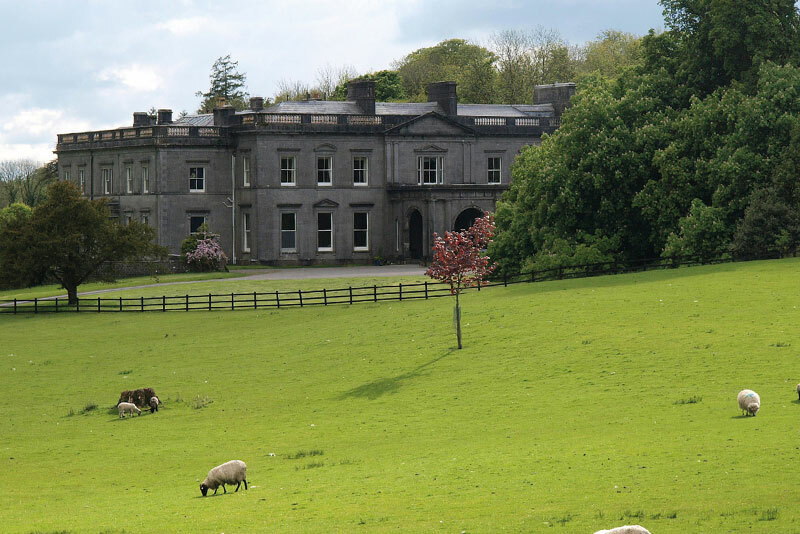 Coopershill is a stunning ‘great house’ set in 500 acres of farm and woodland in beautiful rural Sligo. This special offer includes afternoon tea, a four course dinner, an overnight stay in one of the sumptuous bedrooms, all topped off with a breakfast cooked to order. What more could you ask for? Well, a personal tour of the Coopershill deer pastures perhaps. The menu at Coopershill changes daily dictated by the seasonal cornucopia from their own vegetable and fruit gardens. Unsurprisingly the O’Hara’s delicious award winning venison features regularly, no wonder it received a coveted Irish Food Writers Guild Award. Experienced archaeologist Auriel Robinson is your guide on this walking trail, where you will get to taste the fruits of the Atlantic, cooked on the shore on front of an ancient shell midden. Learn about the archaeology, geology, flora and fauna of this ancient landscape which hides so many secrets and treasures. You will be amazed at what is revealed on this leisurely, informative walk. The sea trail ends at beautiful Culleenamore Strand which is also a seal sanctuary, so keep your eyes peeled and cameras at the ready. Culleenamore is said to have the oldest oysterbeds in the country and features shell or kitchen middens dating back to prehistoric times. These middens are the discarded remains of our ancestors’ shellfish feasts, and we will enjoy something very similar. 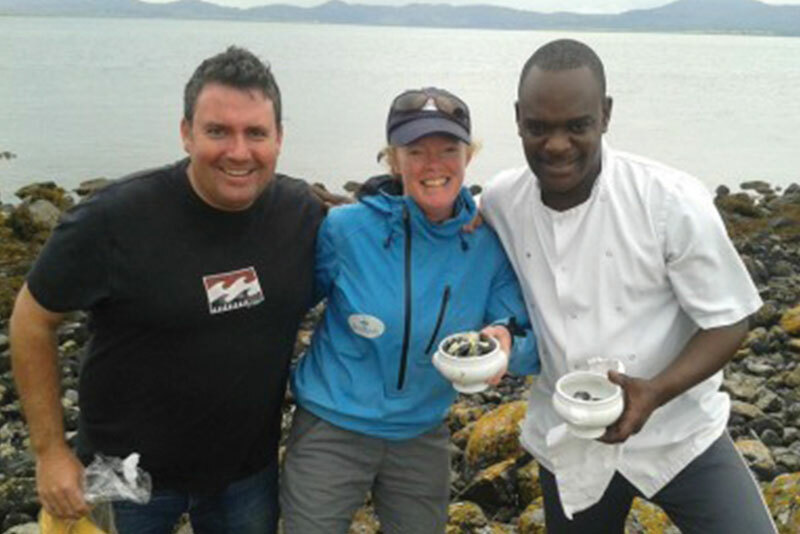 Freshly harvested mussels will be cooked for us on the rocks by one of Hooked Restaurant’s expert chefs. You can quite literally dine as your ancestors did, in exactly the same place. The experience is seasonal. Relax and watch the swans glide down the Garavogue river while enjoying a “beautifully presented, wide choice“ of sweet and savoury afternoon tea delights – soup, sandwiches, bagels, macaroons, scones, chocolates…€24.95 per person. Runs from Thursday to Saturday 12-3p.m. Booking is essential on 071 9145823. 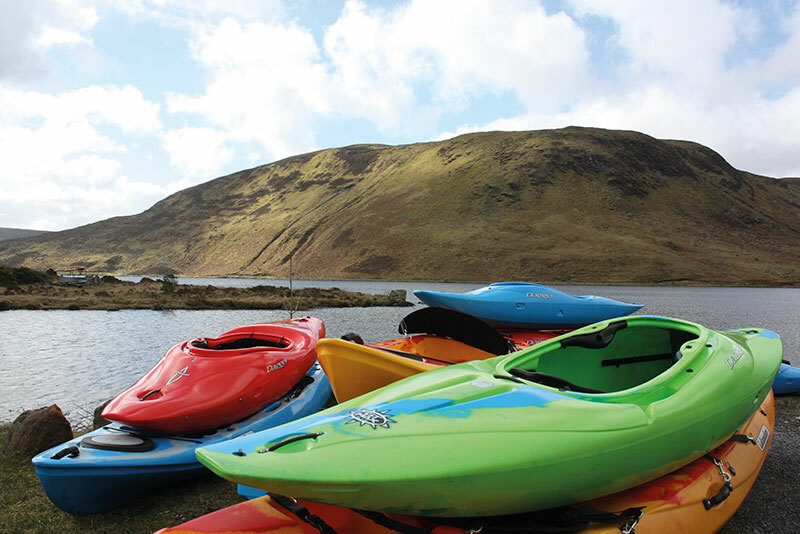 Here’s a fabulous opportunity to take to the beautiful, tranquil waters of Lough Talt in South Sligo and learn a new sporting activity at the same time. Choose from this fantastic range of activities: Stand up Paddleboarding, Kayaking, Canoeing, Archery, or Hill Walking in the Ox Mountain from activity provider Wild Wet Adventures. The water sports last 90 mins on the water and includes all equipment with a fully qualified instructor. 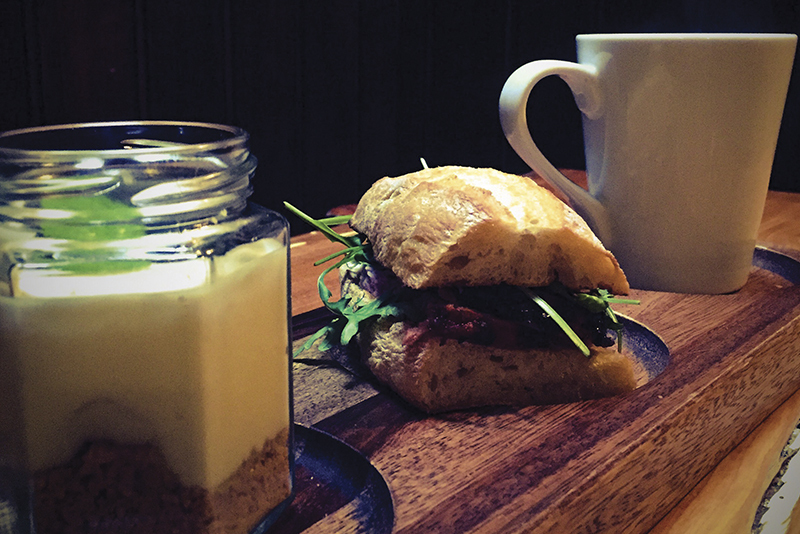 Finish off an active morning with a well-earned two course lunch plus tea/coffee at Cawley’s in Tubbercurry, the promise of a delicious meal in relaxing surroundings. Min: 4 people. Advance booking essential. Availability: all year round. Overnight packages available. Temple House is set amidst the idyllic surroundings of a 1,000 acre estate overlooking the lakeside castle of the Knights Templar and home to the Perceval family since 1665. Roderick and Helena are proud recipients of Georgina Campbell’s Ireland Guide Country House of the Year 2016 and Best Breakfast in a Country House 2016. Enjoy a relaxed two nights B&B and one dinner for two people. Superior Double Room with a FREE upgrade to a Superior Lake View Double, subject to availability. Put on the wellies, which can be provided, and check the sheep with the expert guidance of an experience shepherd. Come on a walk with herbalist and chef Gaby Wieland and find and identify many wild foods that grow along Irish hedgerows. From Dandelion to Nettles and Meadowsweet to Hawthorn, from leaves and flowers to berries and roots. 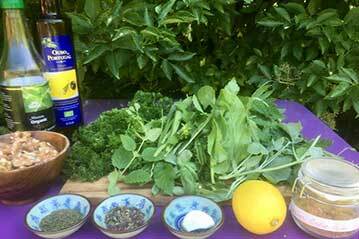 Learn how nutritious these foraged foods are and how to use them. There will be tastings and recipes at the end of the walk. Inspiring and a lot of fun! Location: The Mill site in Ballintrillick at the base of the Horseshoe valley in one of the most scenic areas in Co. Sligo. Walks for groups can be arranged on request. North West adventures are unique, offering family friendly low-tide adventures to extreme cliff leaps including coasteering, SUP and bicycle adventures of varied intensities suited to different ages and abilities. So come along, don a wetsuit, buoyancy aid, board or bicycle, helmet and explore Ireland’s North West Wild Atlantic Way. 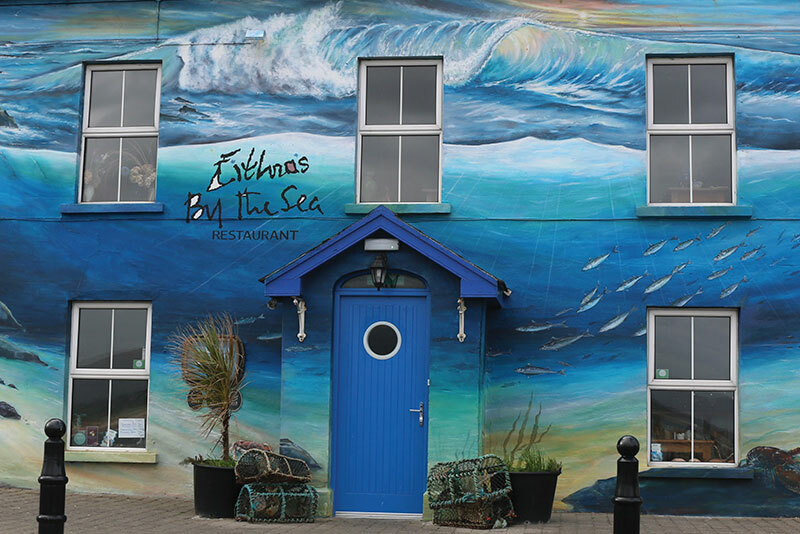 After a coasteering, SUP or cycling tour around Mullaghmore, you will surely have worked up an appetite combine your activity with a visit to Eithna’s By the Sea Restaurant overlooking Mullaghmore harbour. Famous for seafood and shellfish, temptations with north west coasteering package include a selection of our open sandwiches on our homemade wheaten bread with a choice of a cup of chowder or delicious fresh vegetable and organic herb soup. Price: From €45 (Per Person) depending on activity. 1. Fort Walk Experience (Medium Grade) Our guides will introduce you to a fort in a dramatic south Sligo location off the beaten track and enthrall you with tales of its history and folklore. You will be stunned by the views of the surrounding country side. We can combine this with a visit to a religious settlement and or perhaps a souterrain, experience the Ox mountains above and below ground. 2. Mysterious Cave Experience (Medium Grade) Experience the mystery and beauty of our hidden cave gems in south Sligo. Our informative guides will regale you with tales, folklore and the history of the long-forgotten past of these limestone caves. Can be combined with a visit to a passage tomb cemetery. 3. Megalithic Experience (Easy Grade) Explore some of the oldest and well preserved megalithic passage tombs in Ireland with our guides. This Neolithic plateau also boasts one of the earliest known Neolithic villages in Ireland and the views are also stunning. 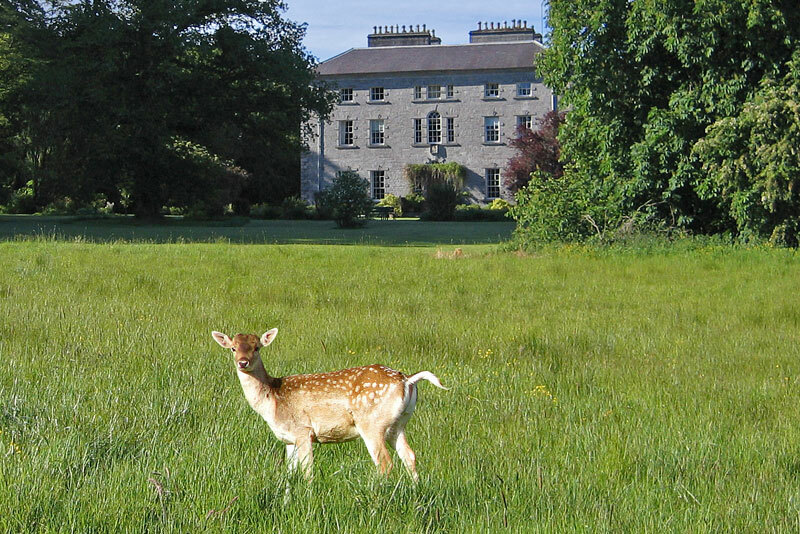 Price: Half day walking discovery package with three course lunch €55. 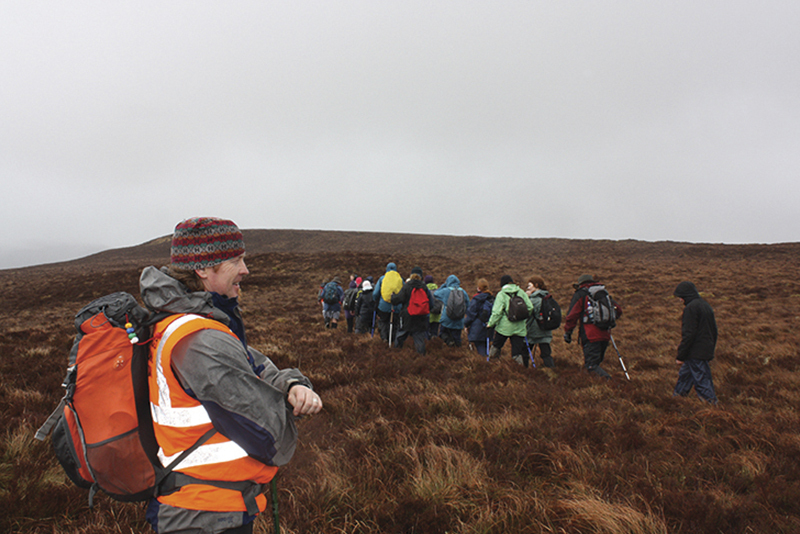 Full day package walking discovery package with three course lunch €85. Friday Evenings: Irish speakers of all levels are welcome to join an informal conversation group from 5.30p.m. Fíorchaoin fáilte riomh chainteorí gaeilge (bíodh sí lag no láidir agat) chuig an gcόmhrá in Ósta Cafe gach Aoine 5.30p.m. go 7.30p.m. 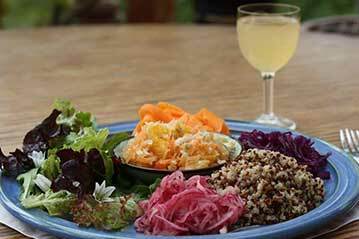 Naturopath and herbalist Gaby Wieland will lead you on an educational and culinary walk at the Horseshoe in Ballintrillick in one of the most scenic areas in Co. Sligo. Under her expert guidance you will find, identify and collect many wild edible plants and learn about their many culinary uses and medicinal benefits. Back at Neantog Kitchen Garden School in Cliffony you will under Gaby’s tuition create a taster plate with exciting dishes using wild foods. Recipes will be supplied. Your walks along hedgerows and in the countryside will never be the same! Venue: Neantog Kitchen Garden School and the Horseshoe valley. Dates: Spring Workshop Saturday 13th April, Summer Workshop Saturday 15th June 2019. Workshops for groups on request. 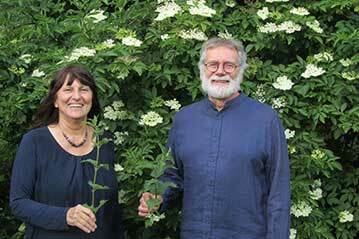 If you are interested in your gut health and want to make some probiotic food and drinks yourself, perhaps with produce from your own garden or your local farmers market, this workshop with Gaby and Hans Wieland is the perfect start. We will explain how fermentation works and how it preserves food. We will demonstrate the various ferments and you will have the unique opportunity to taste them all! You will – under our guidance – make some ferments yourself to take home. We will give you tried and tested recipes that work and show you the basic equipment needed. You will leave inspired, infected and confident to start life as a newly promoted Fermentista. 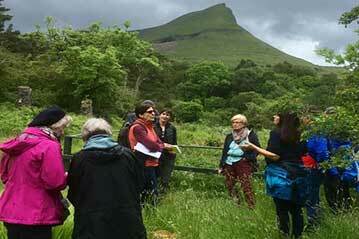 Venue: Neantog Kitchen Garden School, Cliffoney, Co. Sligo. 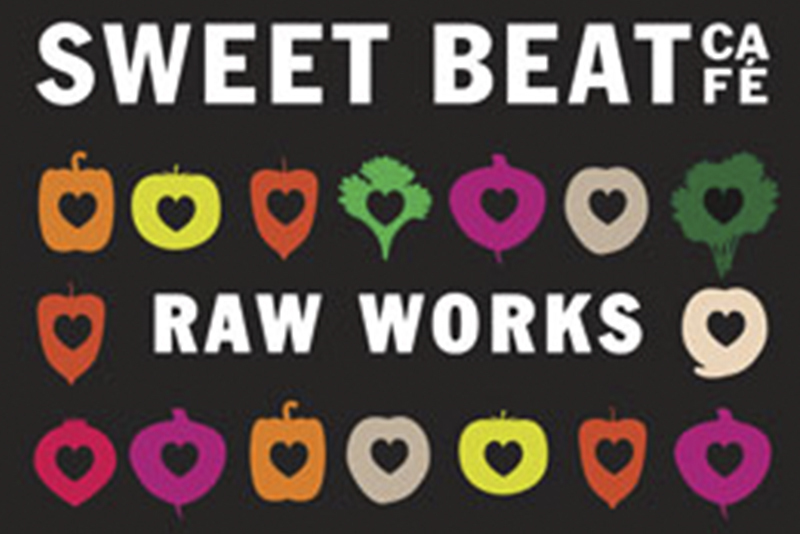 Sweet Beat Head Chef, Carolanne Rushe, will present a Raw + Fermented Foods workshop. Participants will learn hands on how to make their own ferments as well as raw food recipes from sweet treats, snacks and breakfast ideas. The course is hands on and demo based and includes tasters, a take home recipe booklet and their own ferment. Served Daily Monday to Saturday 12pm to 3.30pm €10.00 pp. Our join us for our Burger Bros, pop up burger Joint. Open from 4pm- 9pm Mon to Wed. Our menu includes a pint of Franciscan Well Craft Beer or a glass of house wine! 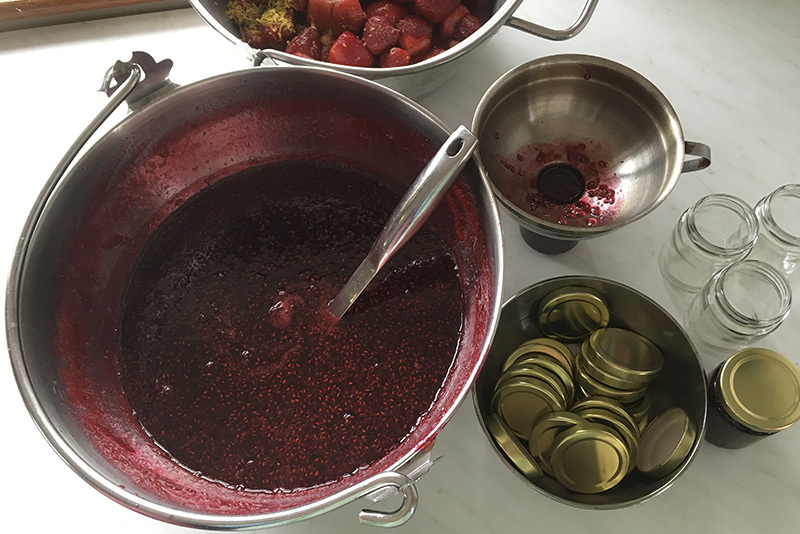 Learn how to make a basic jam, curd and cordial around the kitchen table at Murson Farm. Learn about the basic equipment needed, sterilisation and receive jam recipes. This is a hands on experience and you will take home samples of what is made on the day. Include tea, scone and jams to sample. Booking available for small groups. Spend a full day in beautiful West Sligo, overlooking Easkey Castle and the Wild Atlantic.In these classes you will learn all you need to know in making your own lovely loaves at home. Introduction to Sweet Breads, which features Chelsea Buns with Butterscotch glaze, doughnuts and Seeded Bagels. 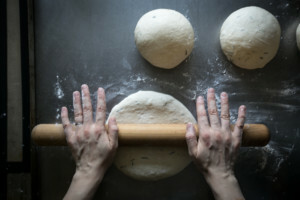 Participants will make each dough by hand, by themselves and each bread represents a different style, shape and technique. Lunch of seasonal savouries, sweet treat and refreshments is included and participants bring all breads home in their own Pudding Row tote bag. 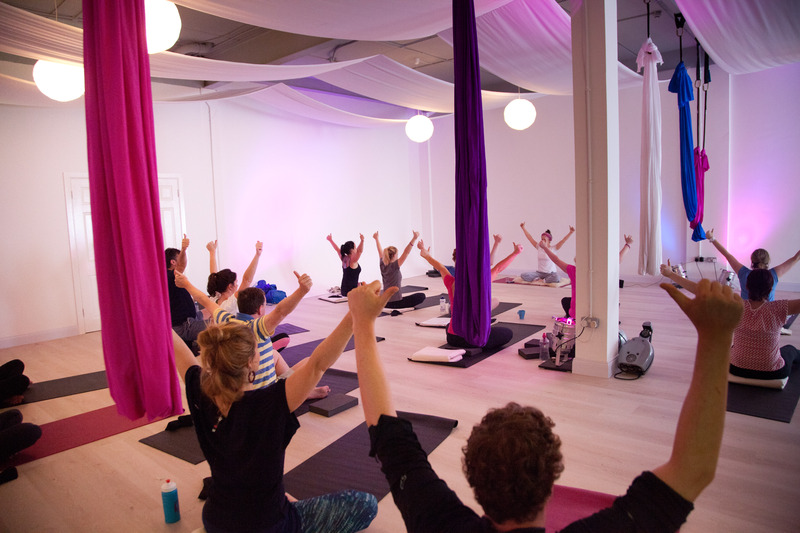 Start your Saturday with a yoga class designed to build strength, flexibility and focus in the spacious and light filled Salt & Soul studio.